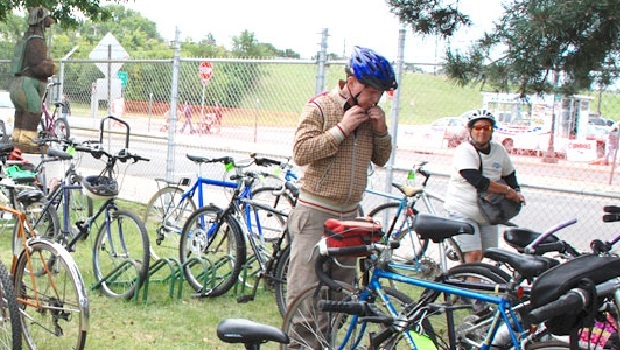 Bike Corral Hours: 6 a.m. to midnight daily – See more info here. Thanks for viewing the Bike Pic of the Day at HaveFunBiking, hope you enjoy the photo? This entry was posted in News and tagged Bike commuting, fun bike photo opportunities on August 27, 2015 by Russ Lowthian.